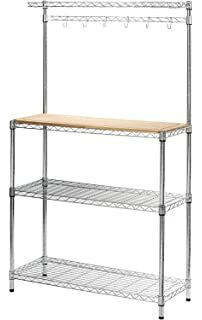 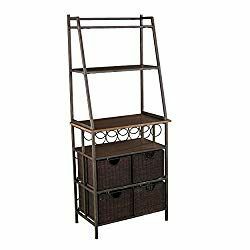 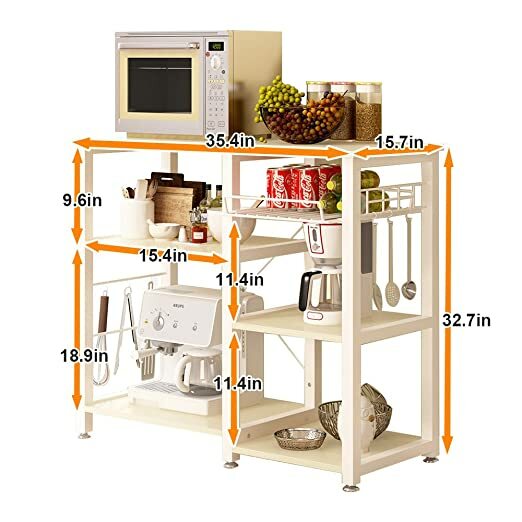 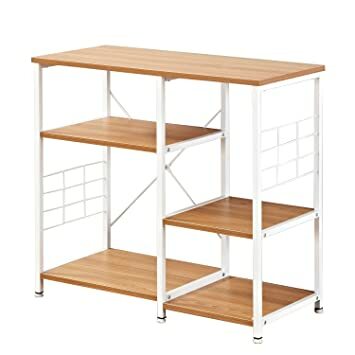 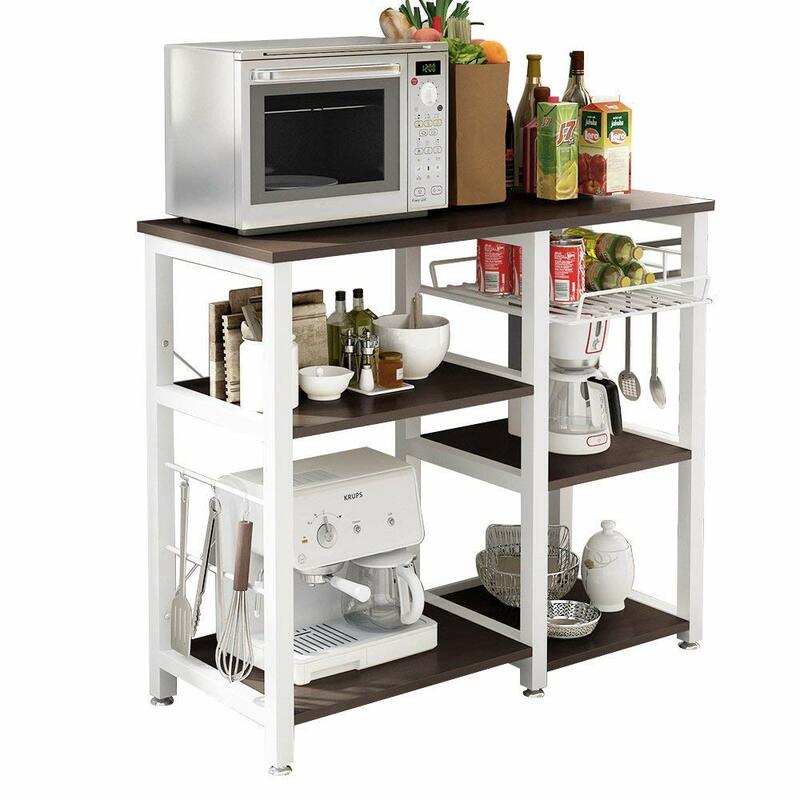 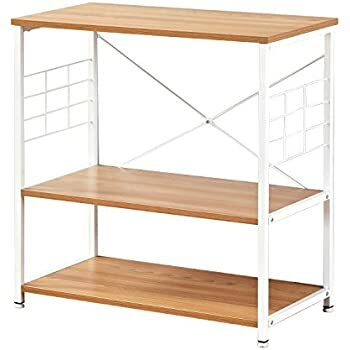 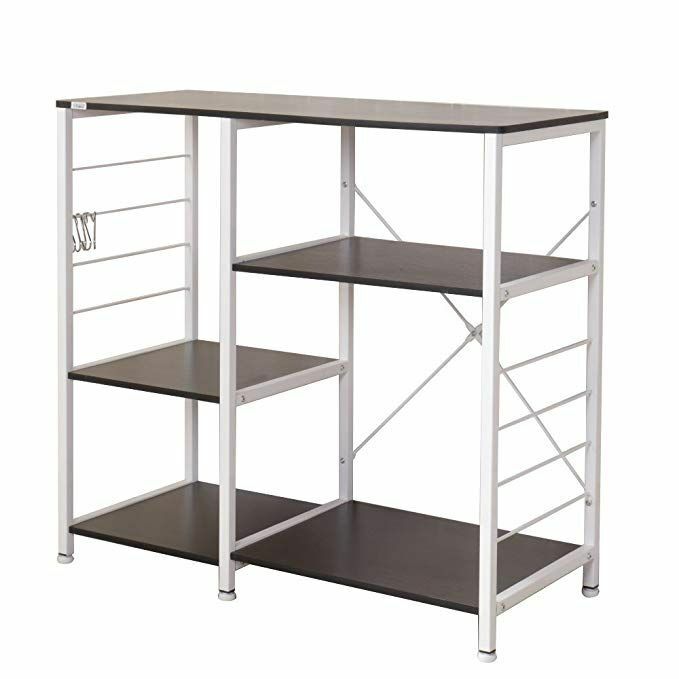 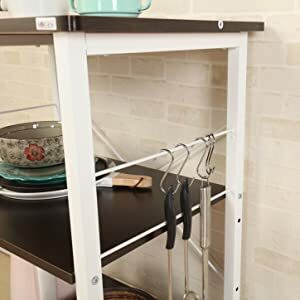 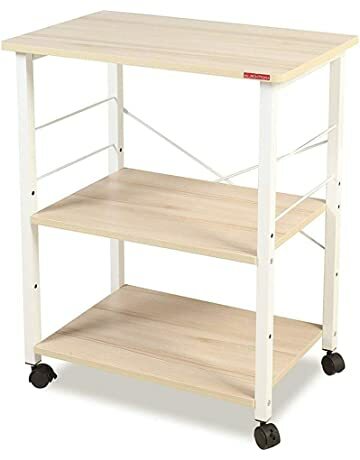 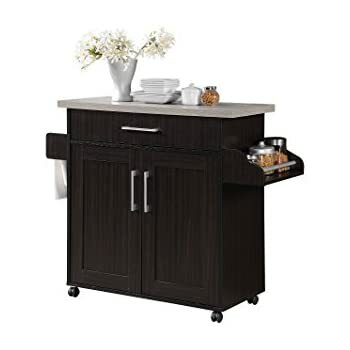 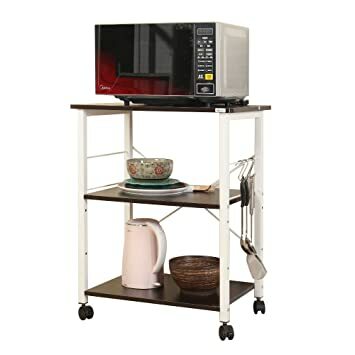 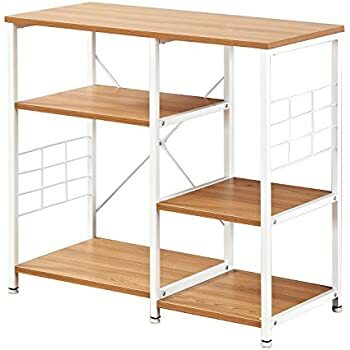 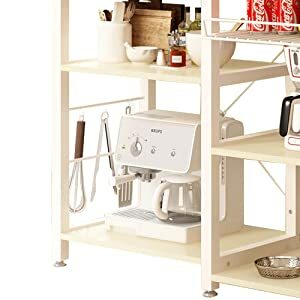 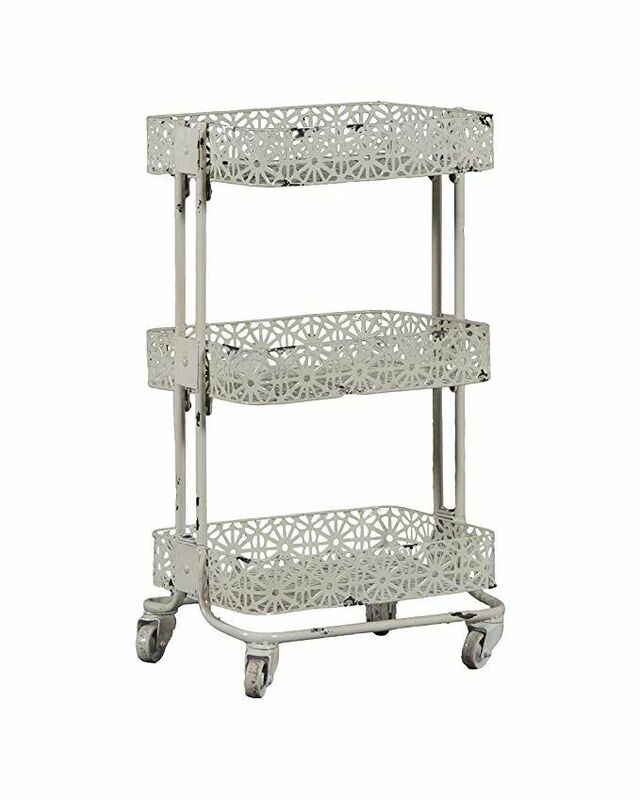 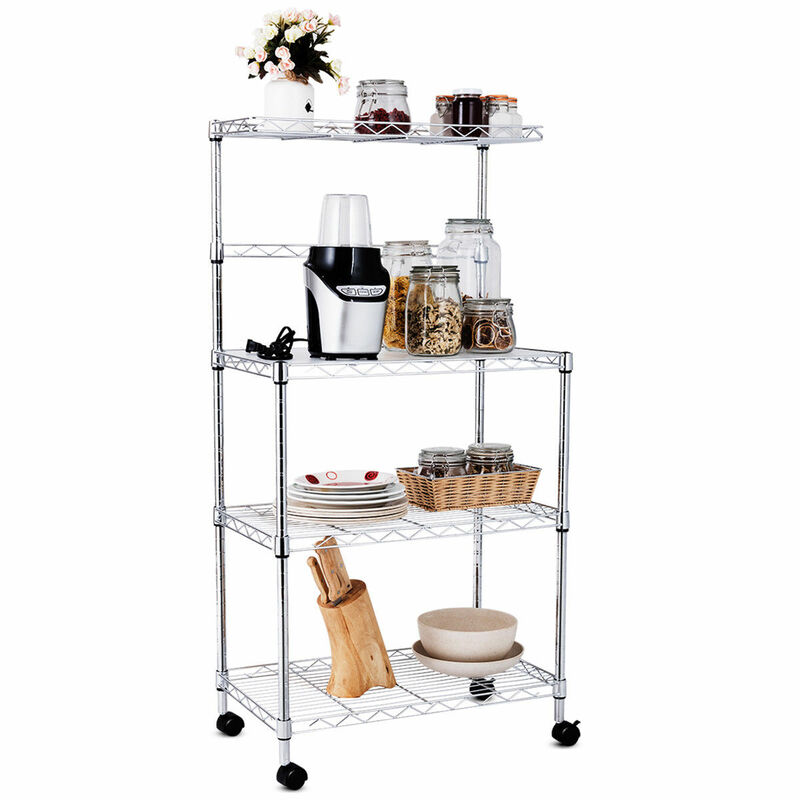 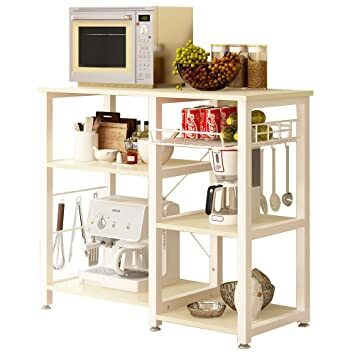 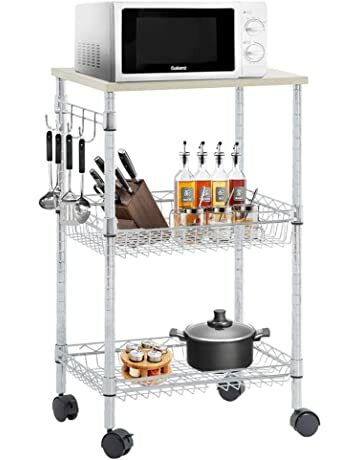 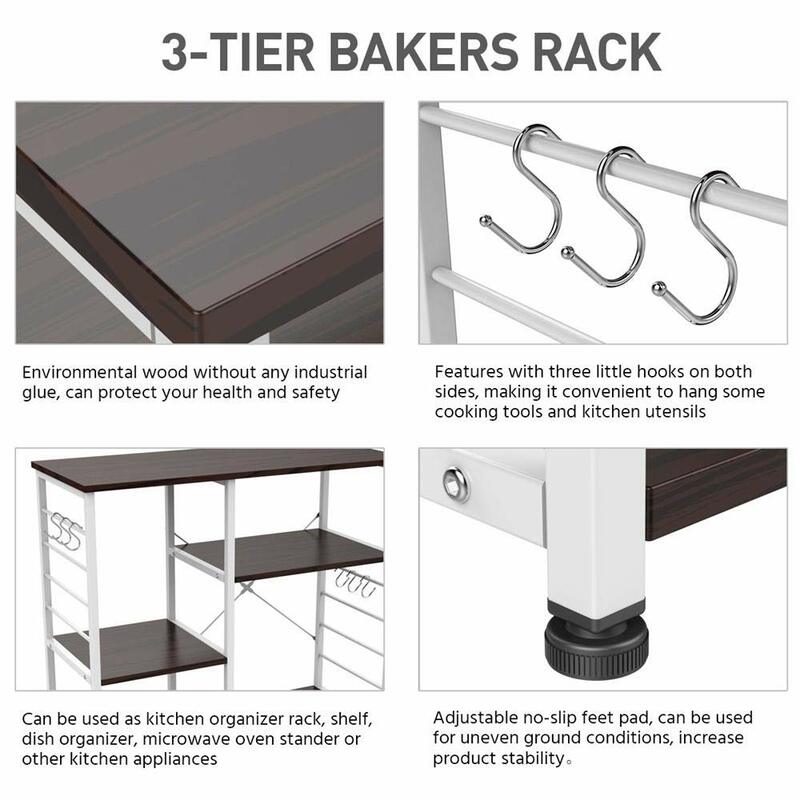 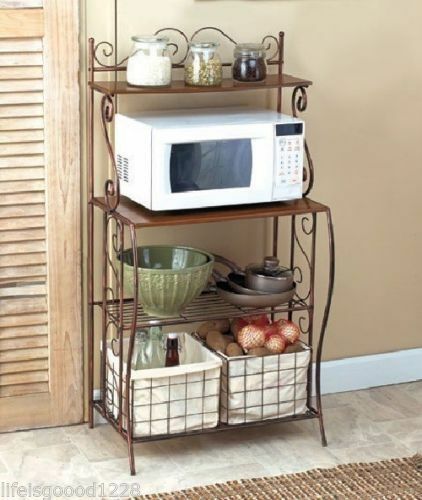 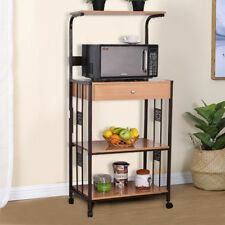 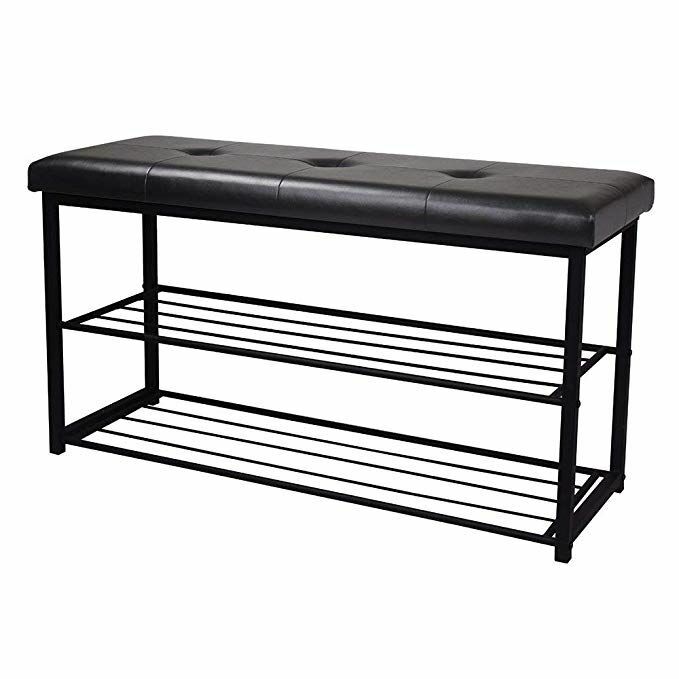 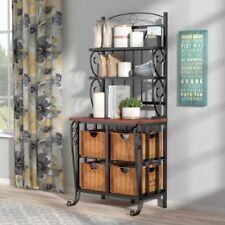 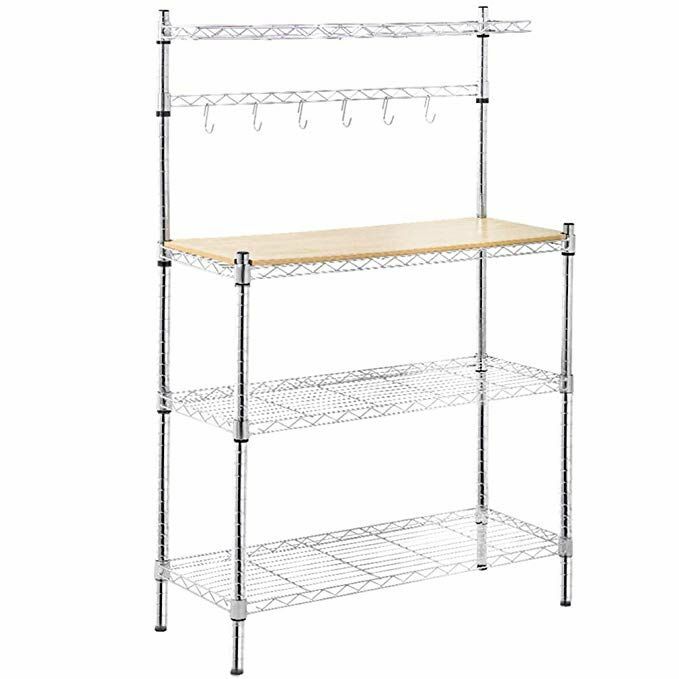 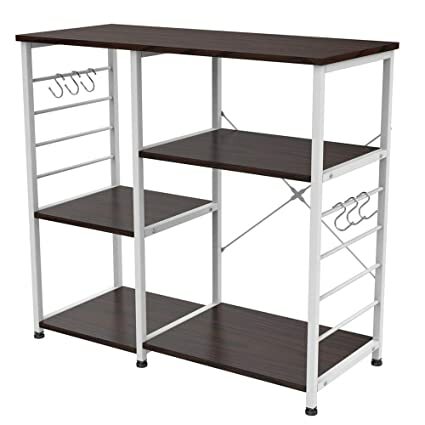 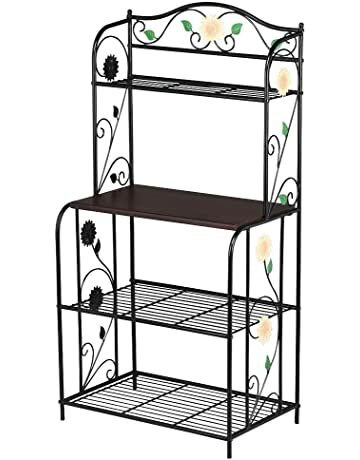 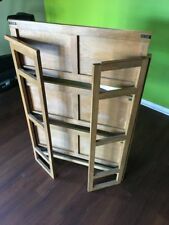 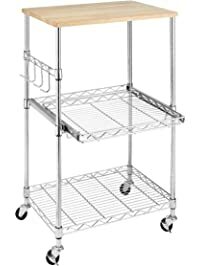 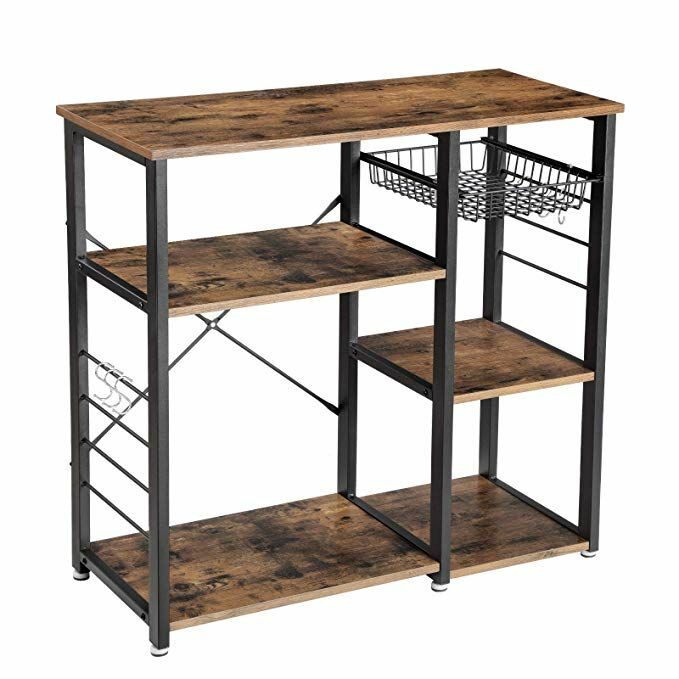 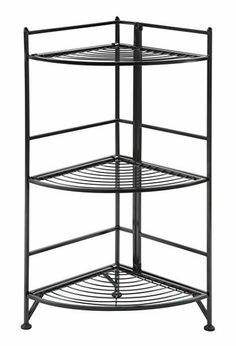 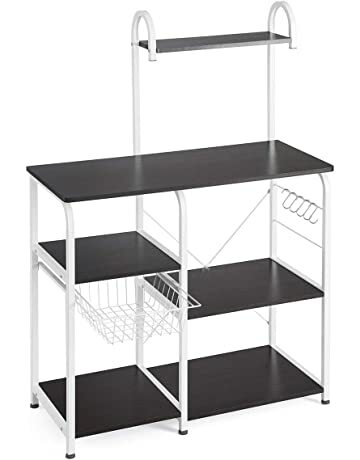 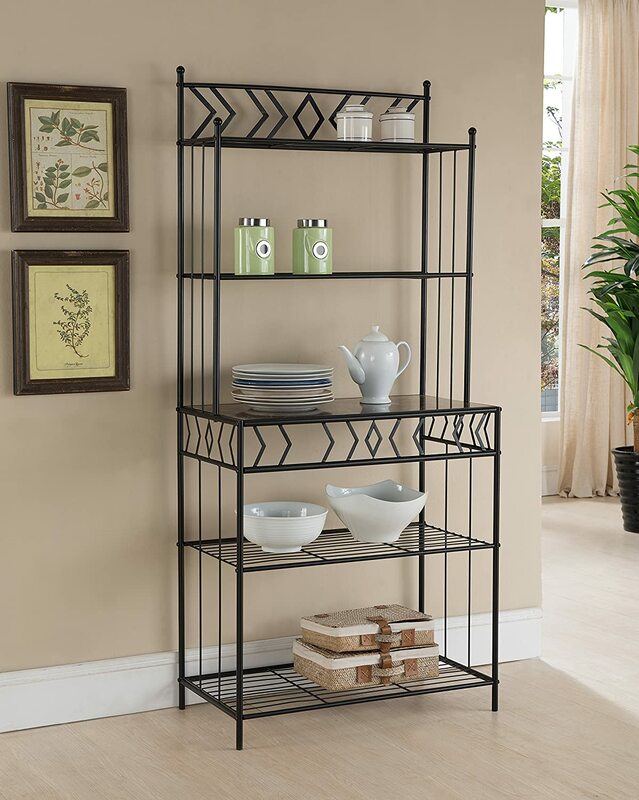 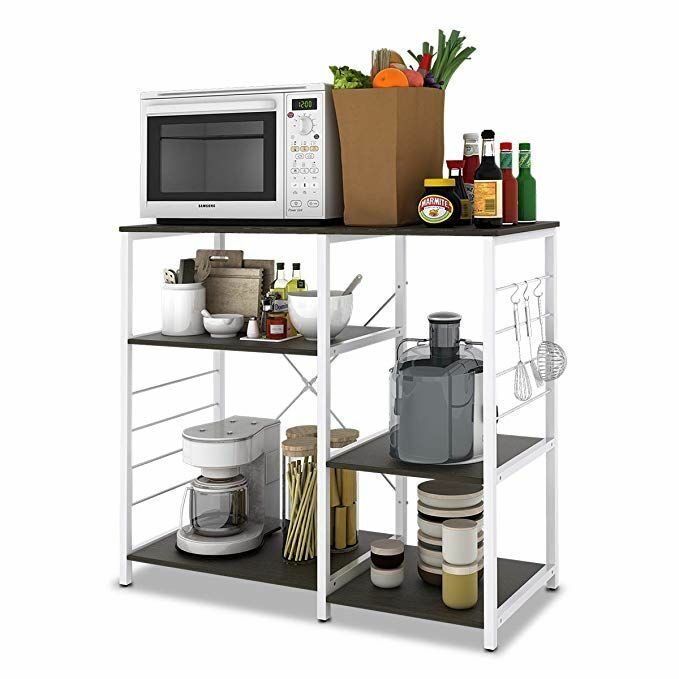 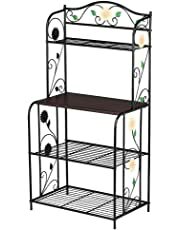 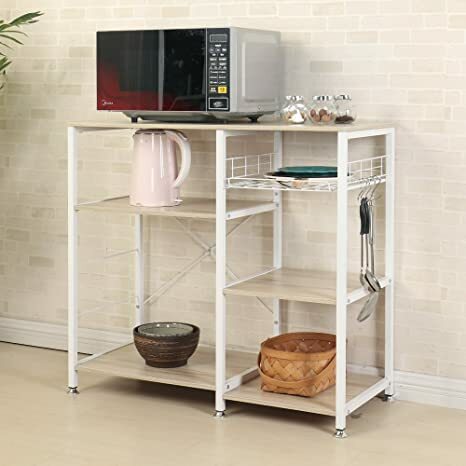 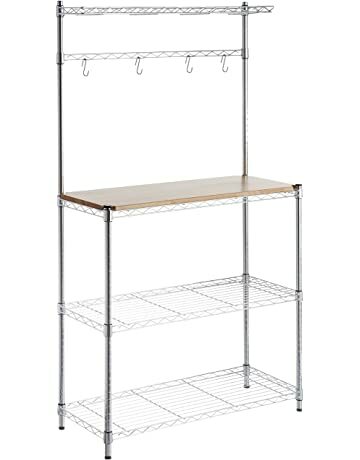 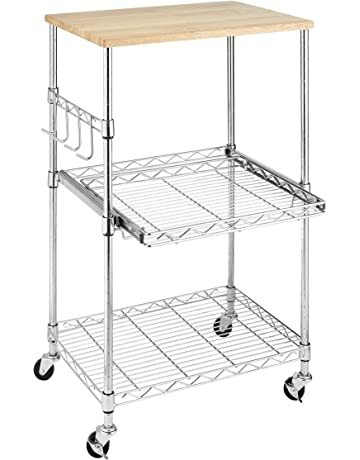 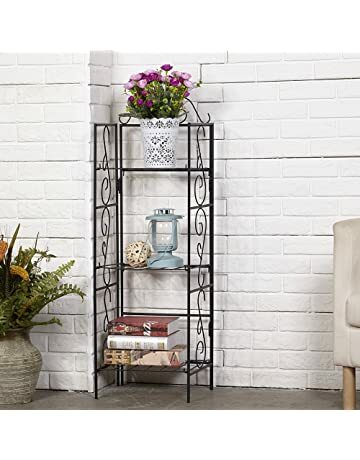 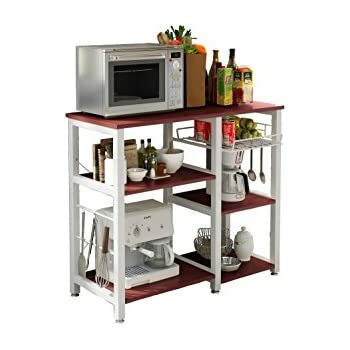 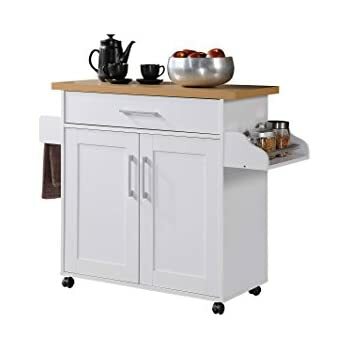 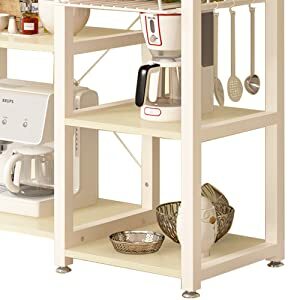 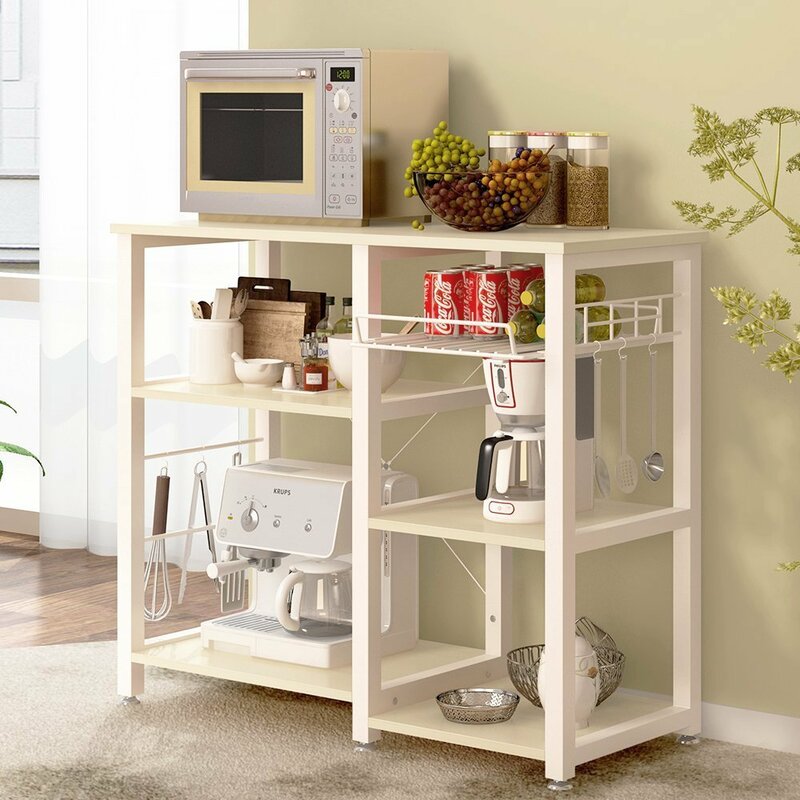 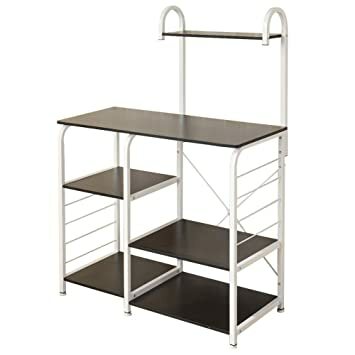 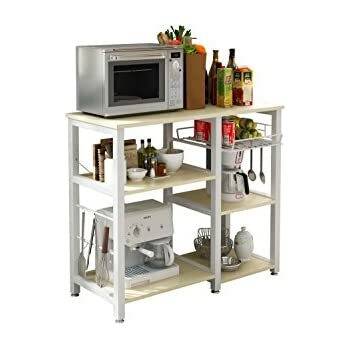 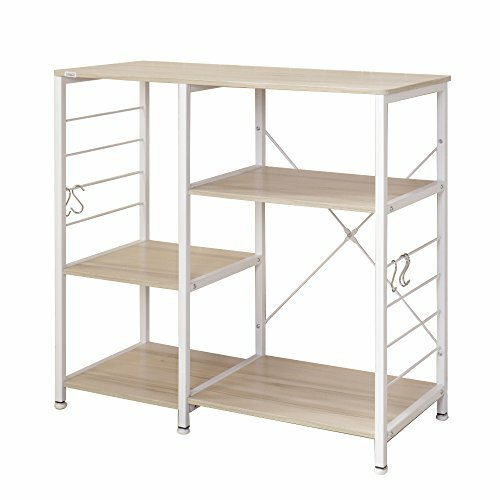 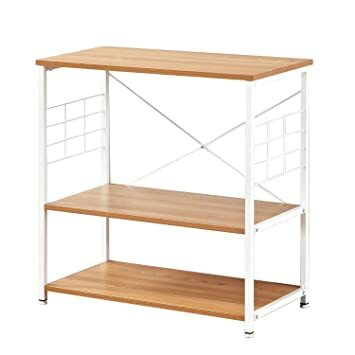 SHUHOME Multi-layers Kitchen Baker's Rack Utility 35.4"x15.7"x32. 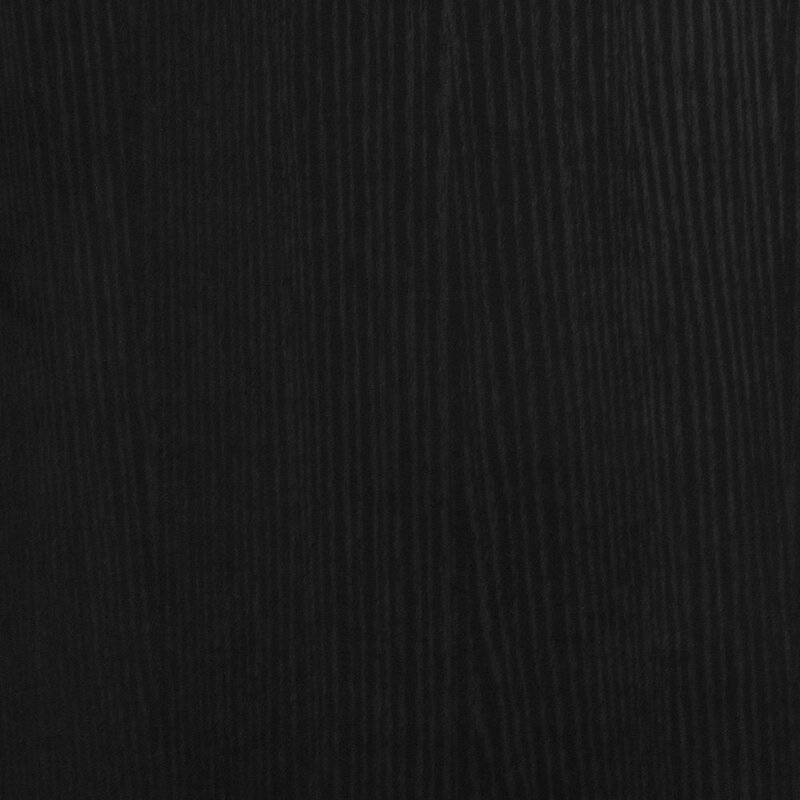 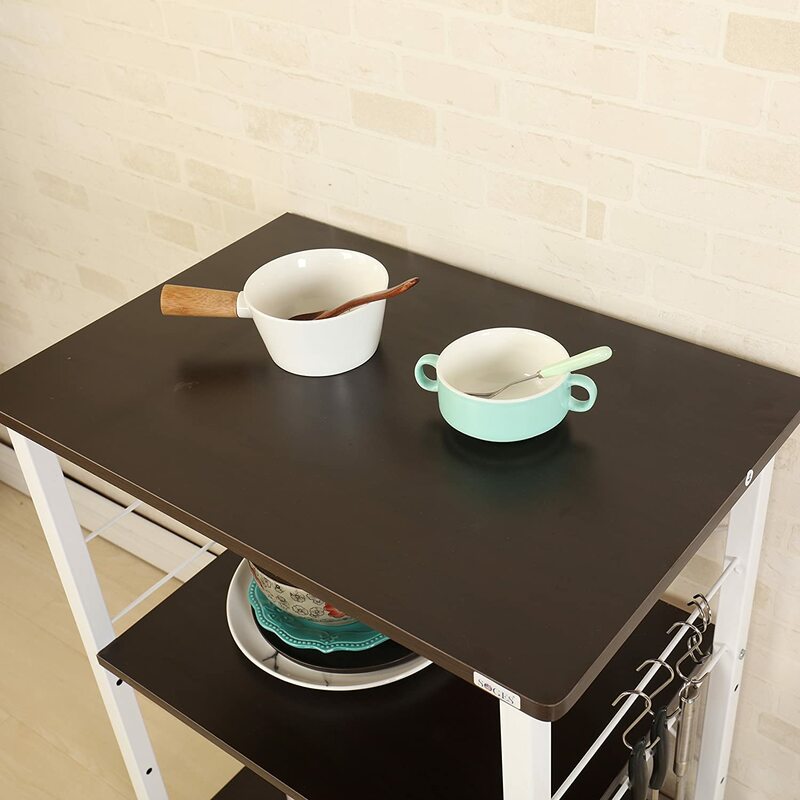 Wood cutting board, easy to clean and durable to use; frame material is powder-coated metal with large load capacity. 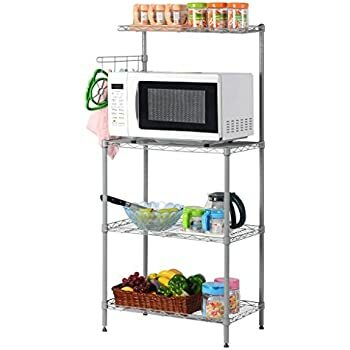 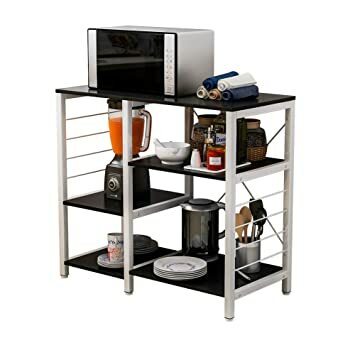 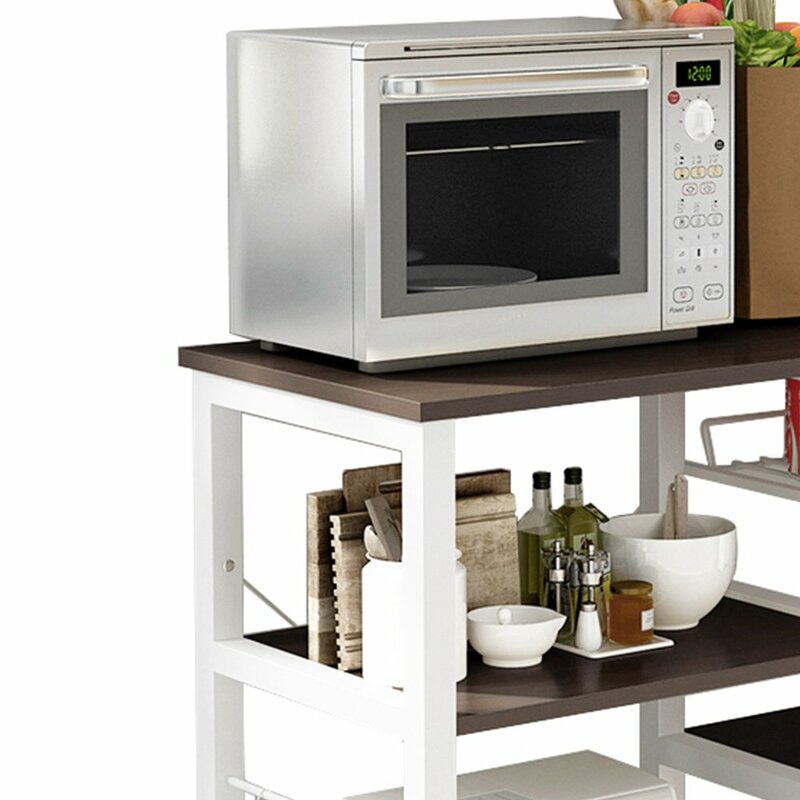 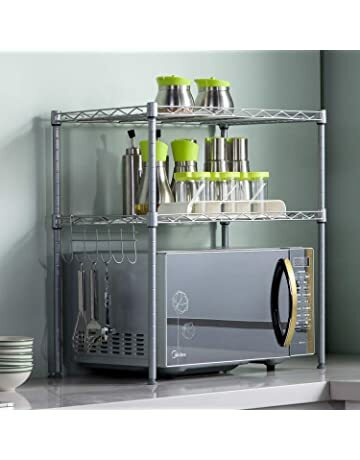 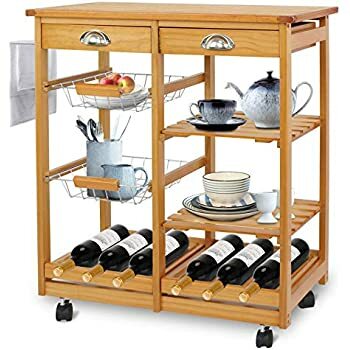 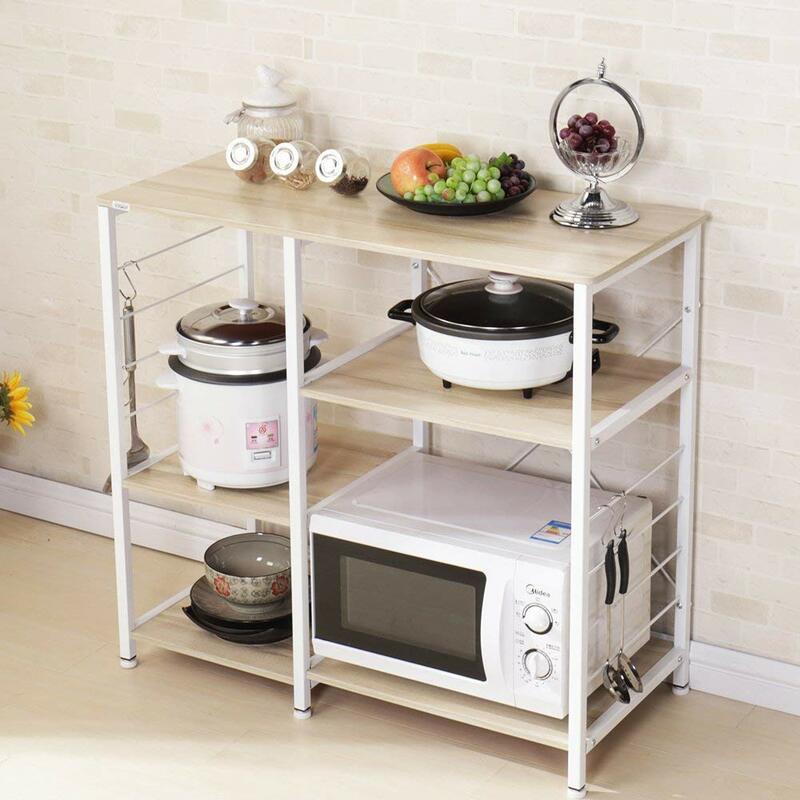 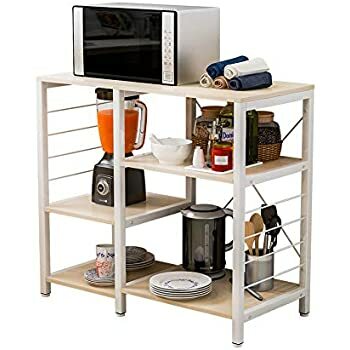 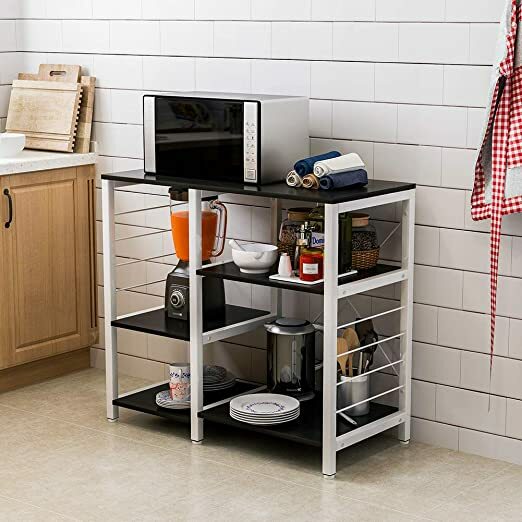 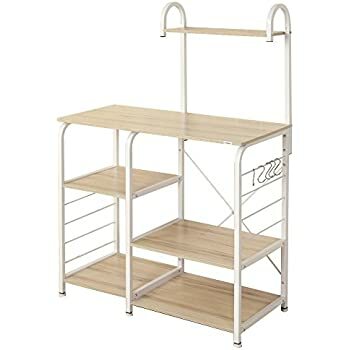 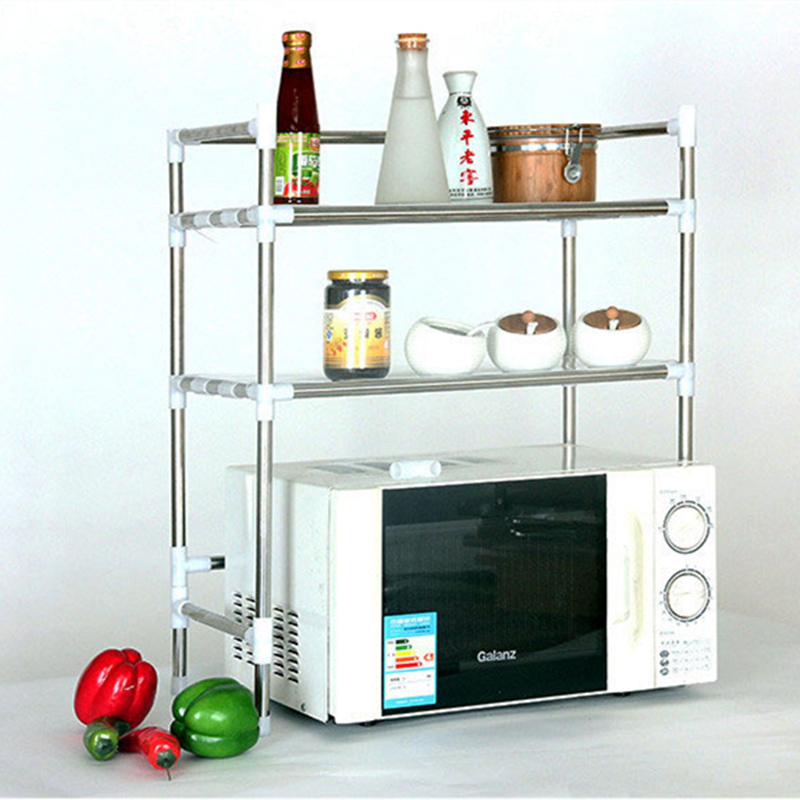 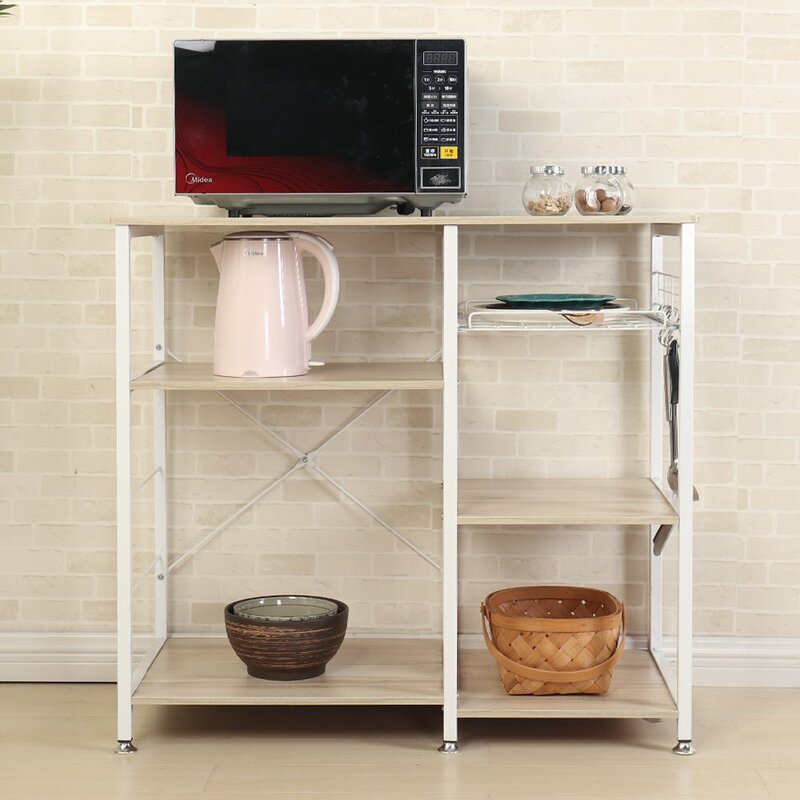 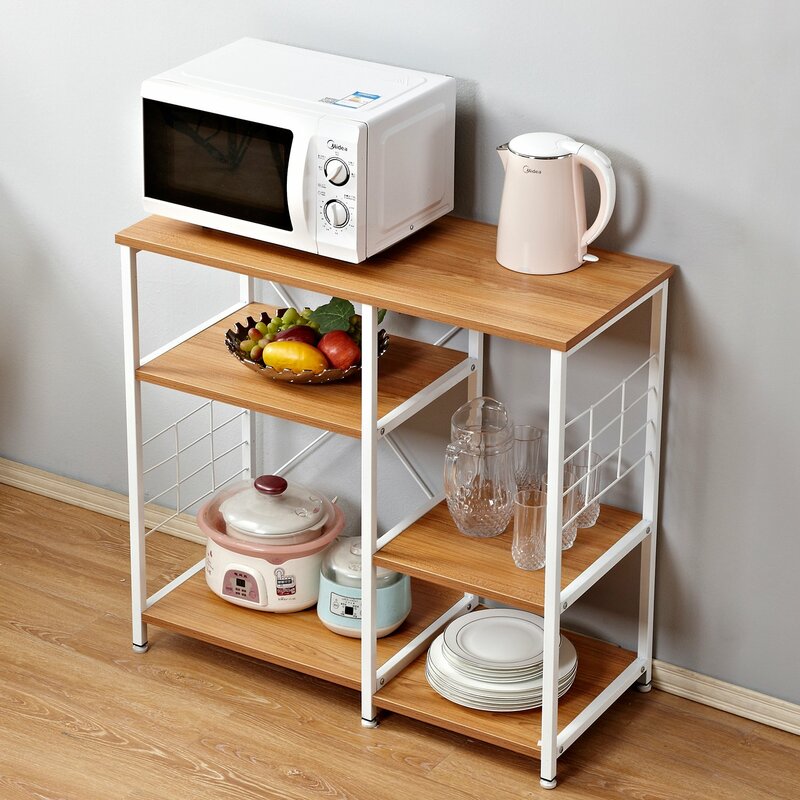 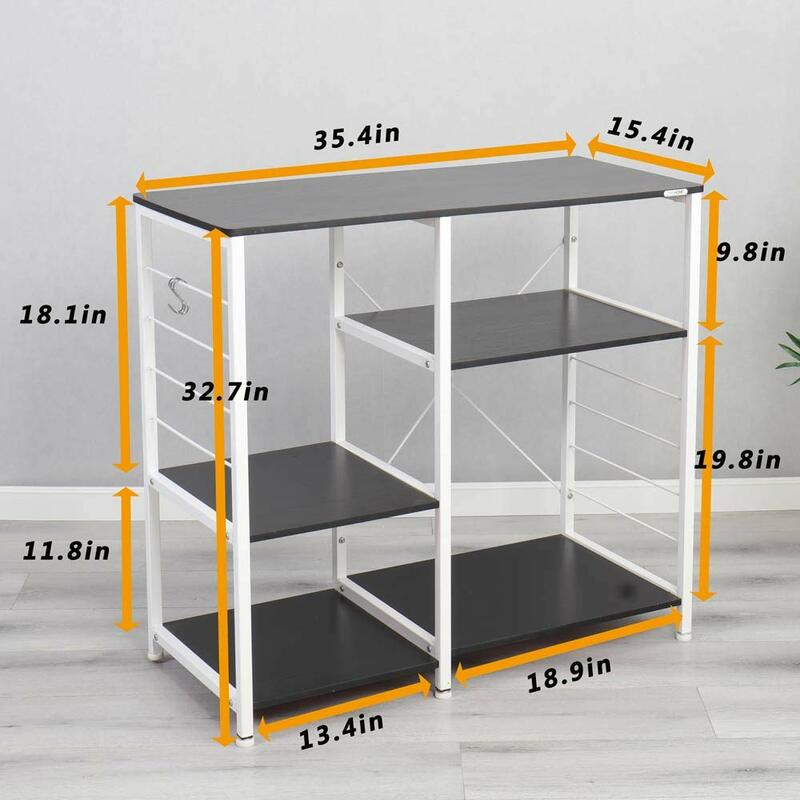 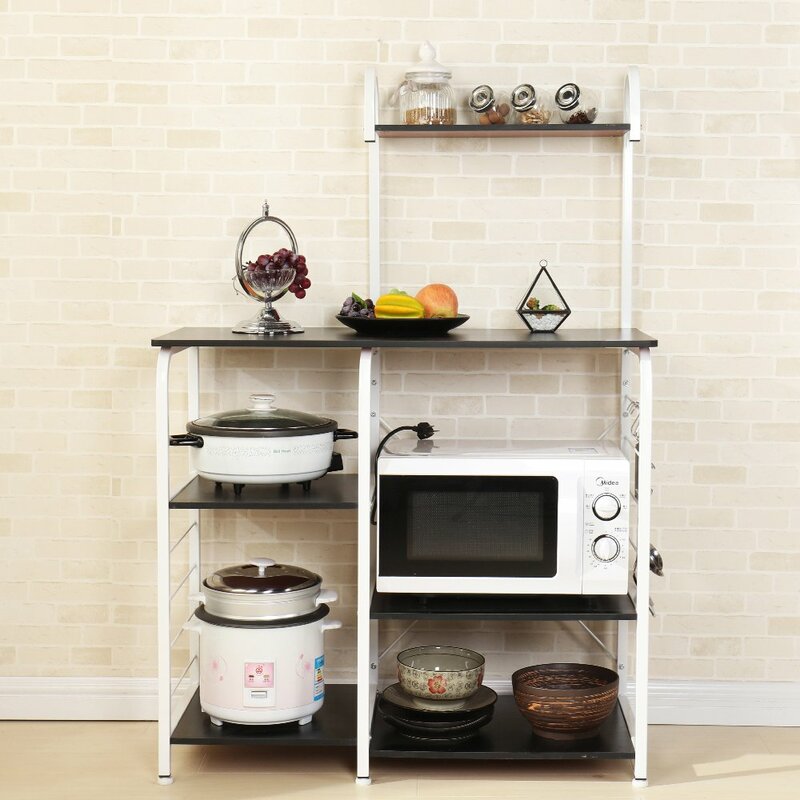 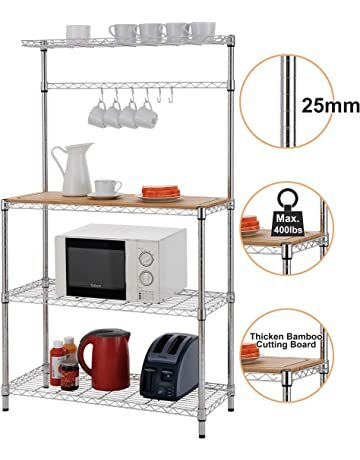 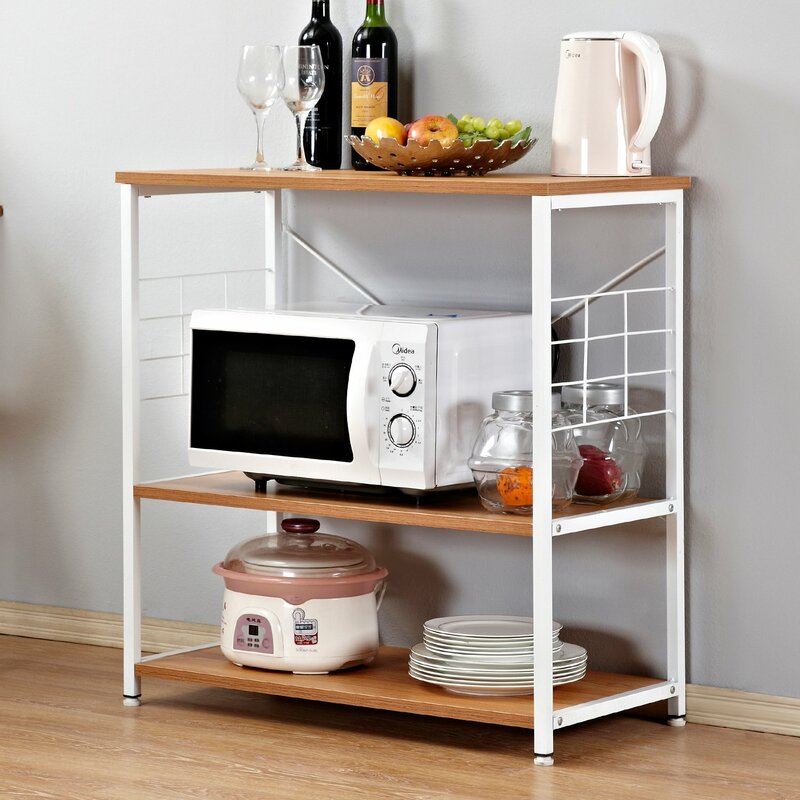 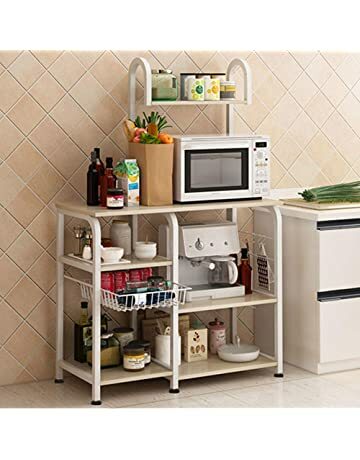 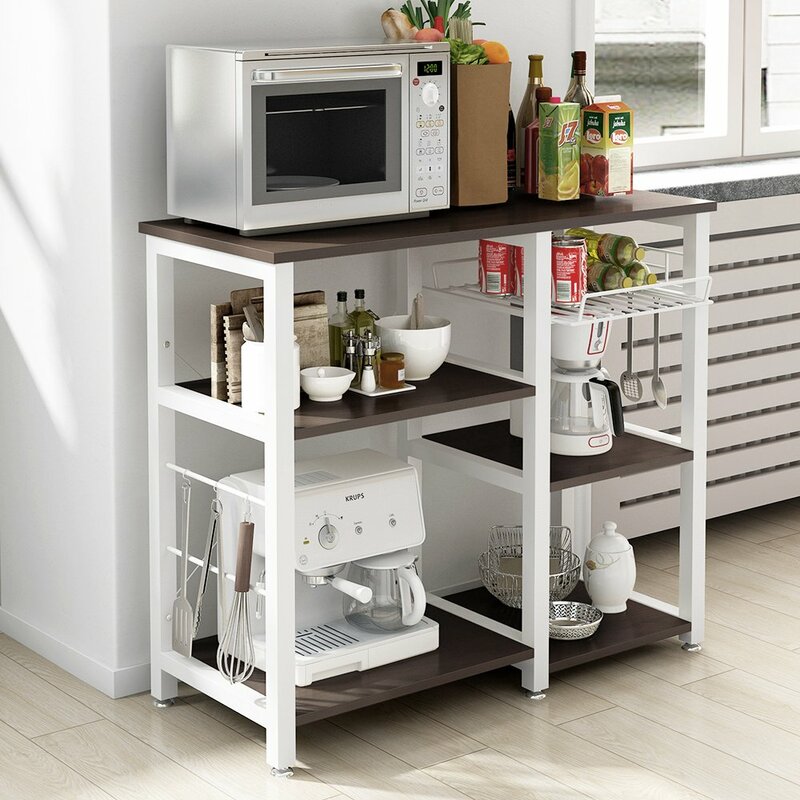 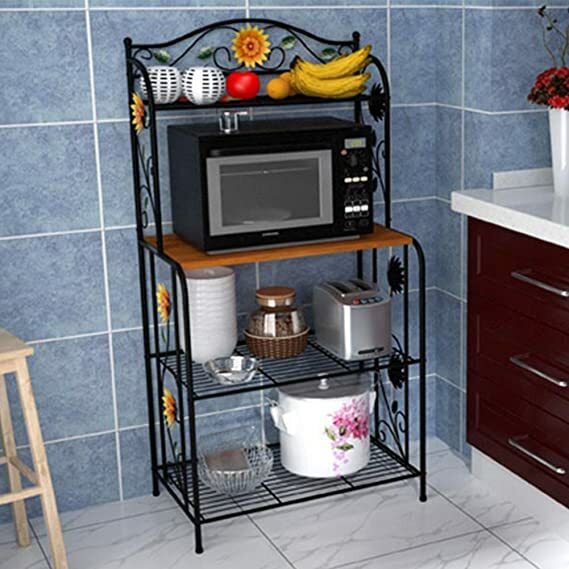 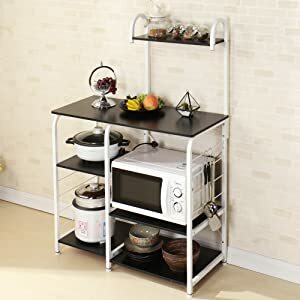 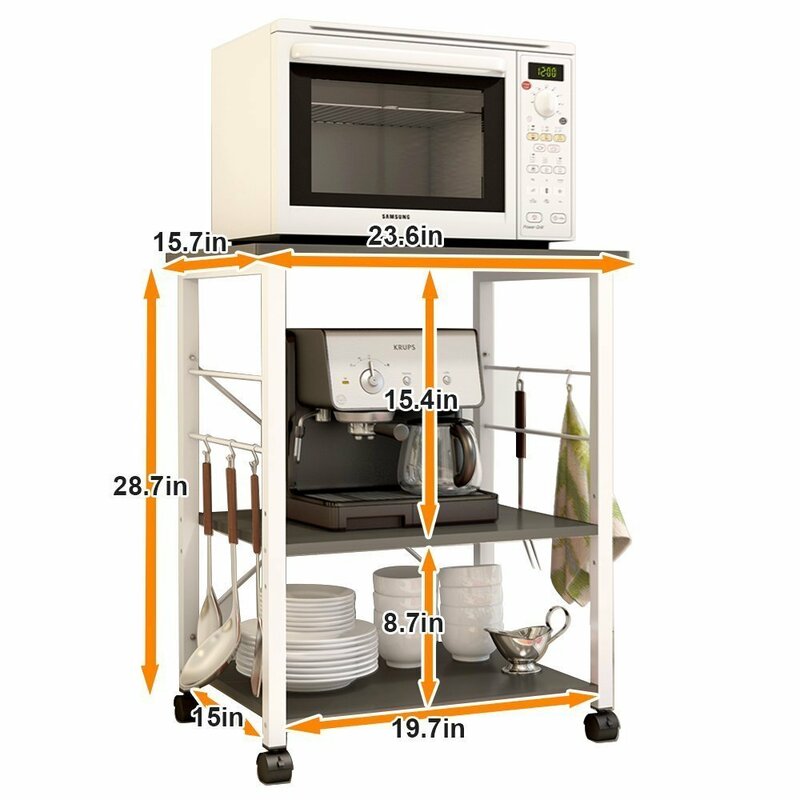 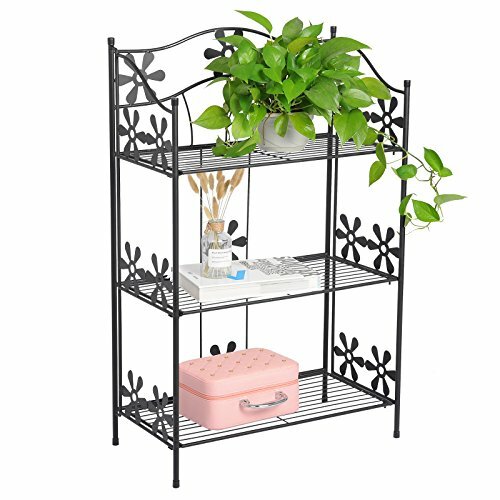 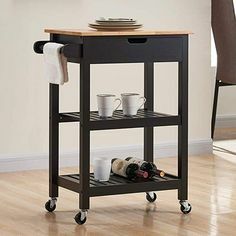 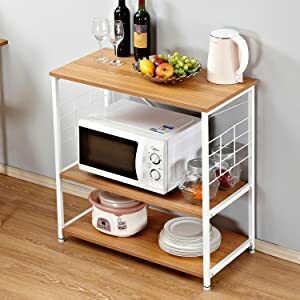 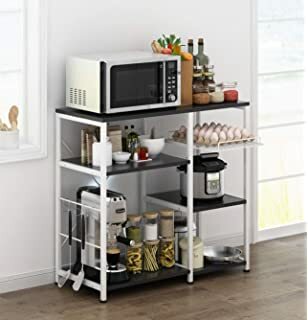 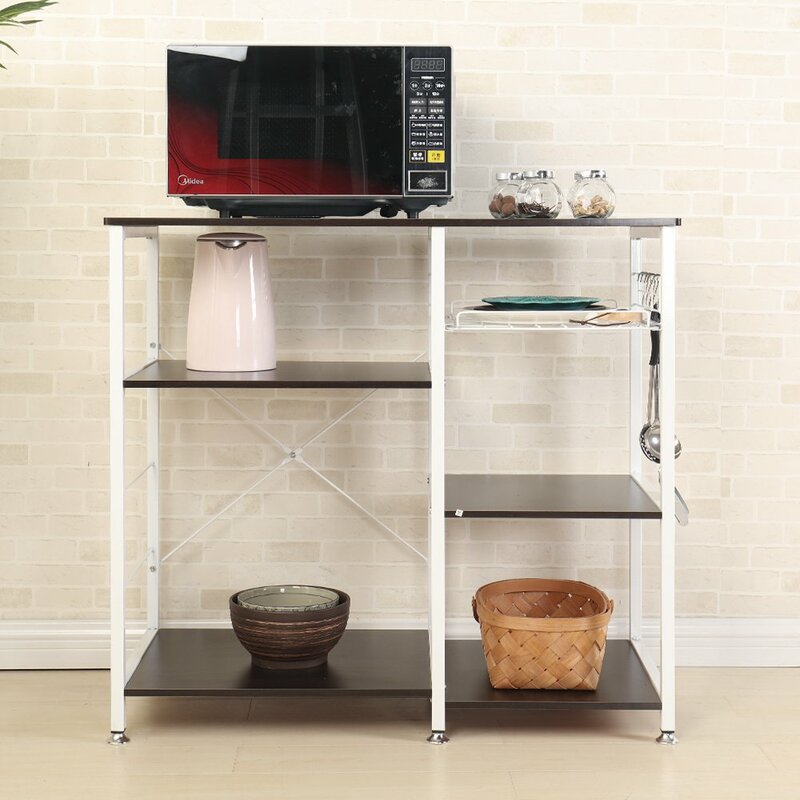 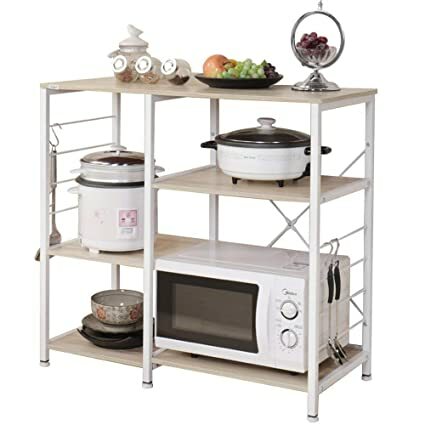 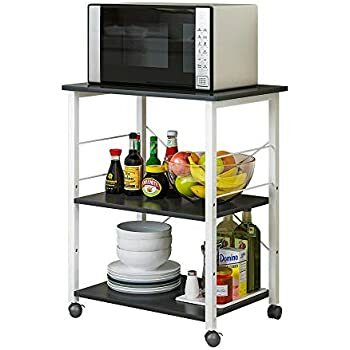 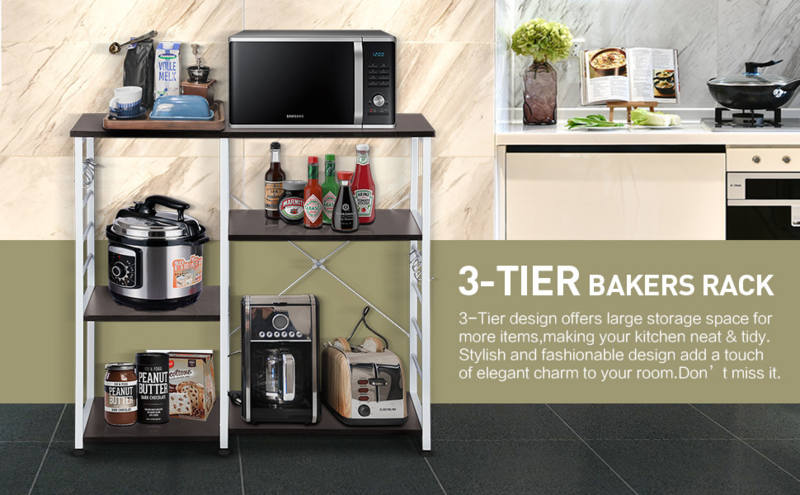 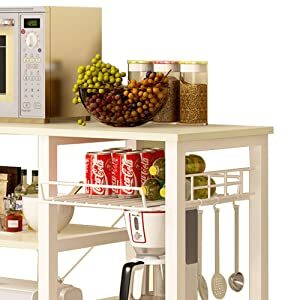 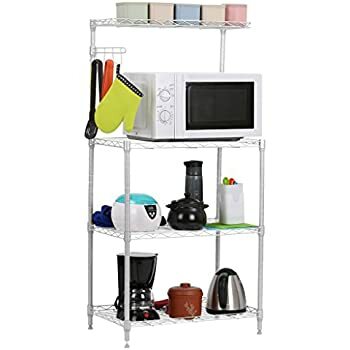 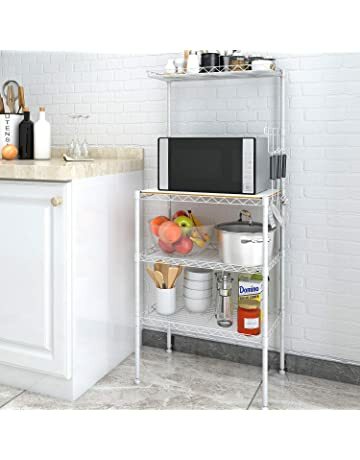 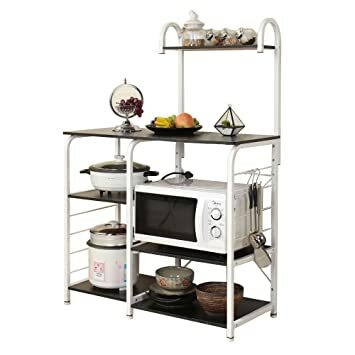 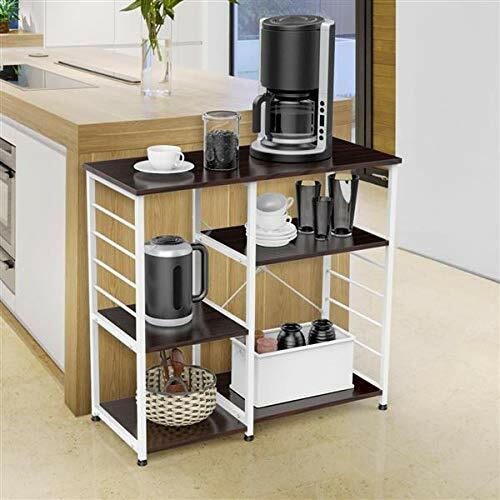 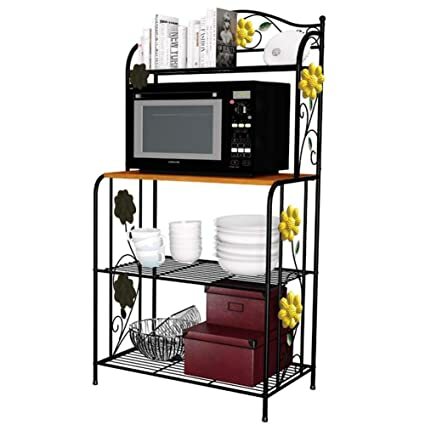 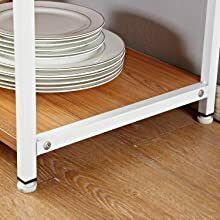 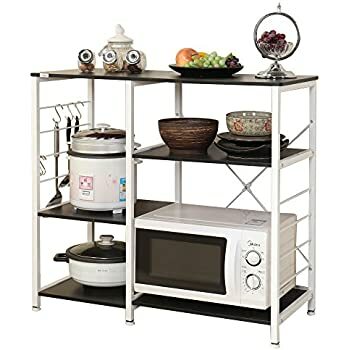 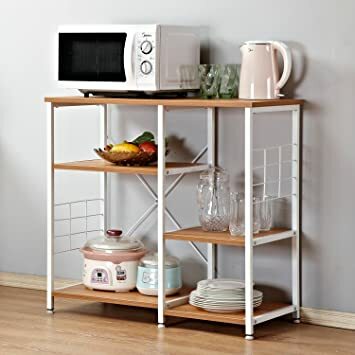 Multifunction: can use as kitchen organizer rack, shelf, dish rack, dish organizer or microwave oven stand cart, make your home and kitchen clean and tidy. 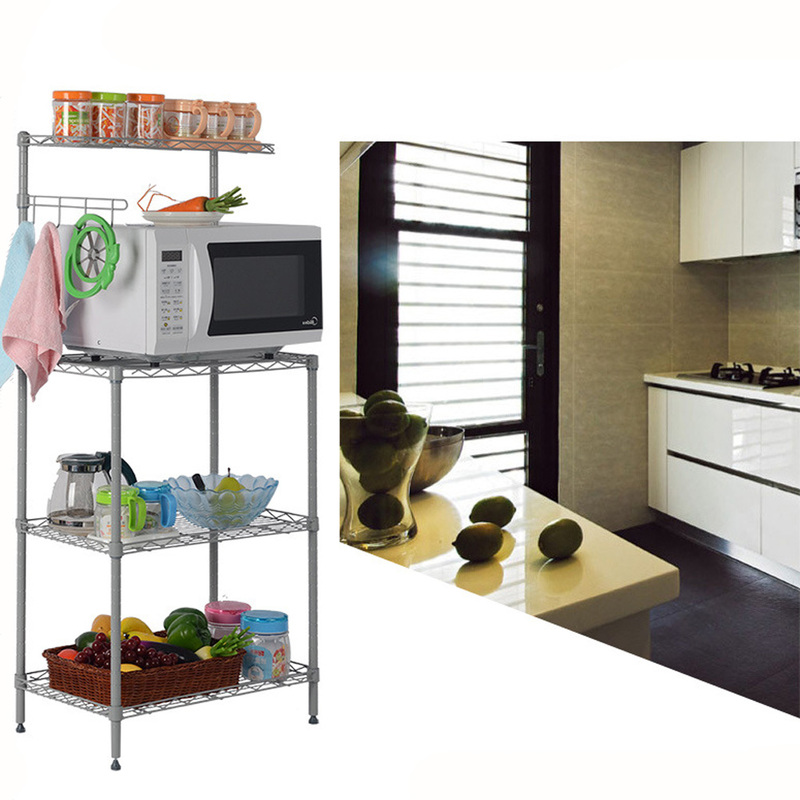 Welcome to our store, the theme of our store is DIY, if you have interest, just follow us, we wil make things different. 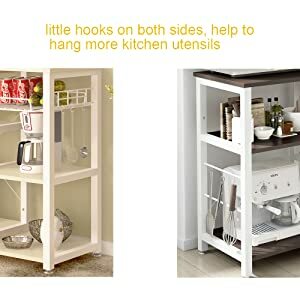 Little hooks on both sides, help to hang more kitchen utensils.